The unique rapids and waters of the Ljusnan River teem with fish and are a great place to experience the feel of swinging a fly or spin rod. The river runs in a valley offering a fantastic natural setting. Our campsite lies a few metres from the running water and just a stone’s throw from the highly interesting Morvallsforsen rapids. At our camp you will live in cosy cabins with self-catering. This fishing spots in the river Ljusnan is known for excellent fishing for grayling and brown trout. 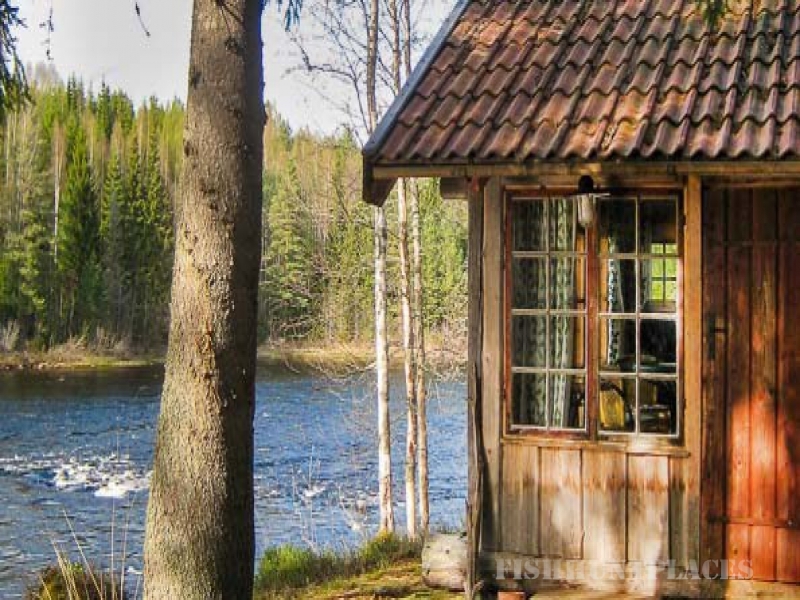 The camp is open from 15 May through 15 October – for trout, 15 May - 31 Aug and for grayling, 15 May - 15 Oct.
During the summer you can also visit: Järvzoo, animal park at Järvsö, an excursion for the whole family and those interested in animals www.jarvzoo.se. Stenegård, a protected manor and farm, is also popular with the whole family, www.stenegard.com. Another interesting goal is the mountain bike course, www.jarvsobergscykelpark.se. Järvsö is about 30 km from the camp. We can also offer excellent pike fishing in Lake Ygsjön nearby, a perfect break in grayling and trout fishing. Fishing in the Ljusnan River is only done from the shore, making waders a must. 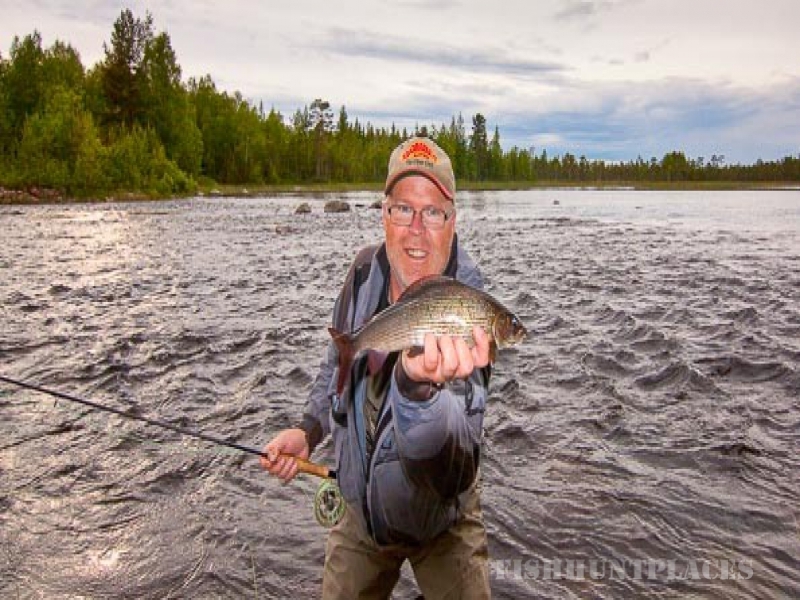 We offer guiding by an experienced fisherman who knows the Ljusnan River very well. Our guide has been fishing here for some 30 years. You can also rent basic fishing equipment from us. Fly rods class 6-7 with lines depending on season, site, water temperature and water level. Fly lines with sinking tips, intermediate and sink line. Successful flies include grayling flies like Red Tag and wet flies like Wickham’s Fancy. You can also use weighted gold and copperhead flies (3-4 mm). 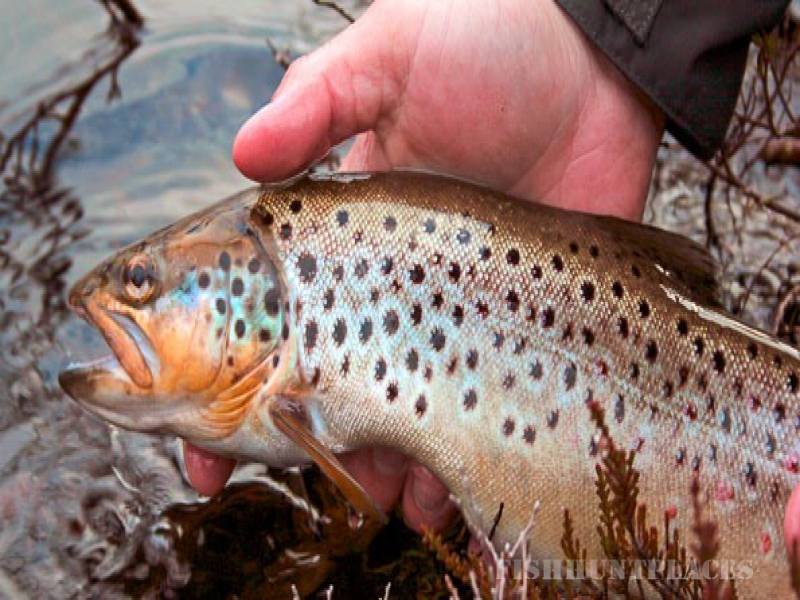 Trout bite best on streamers such as Wolly Bugger, muddlers and the like. For spin-fishing you need a 2-15 g rod and a 15 g Bombarda float (float and sink). Ljusdal Fishery Conservation Area - minimum size: grayling – 40 cm; trout – 40 cm. Max 4 fish per day. Färila Fishery Conservation Area - grayling; only possible to keep fish between min 25 cm and max 30 cm. Trout minimum 40 cm. Max 4 fish per day.